Despite the wet and windy weather we have been experiencing in the UK, treks are still ongoing and this past weekend was no exception! Our visitors got wrapped up and stuck in to a very scenic trek around the farm. 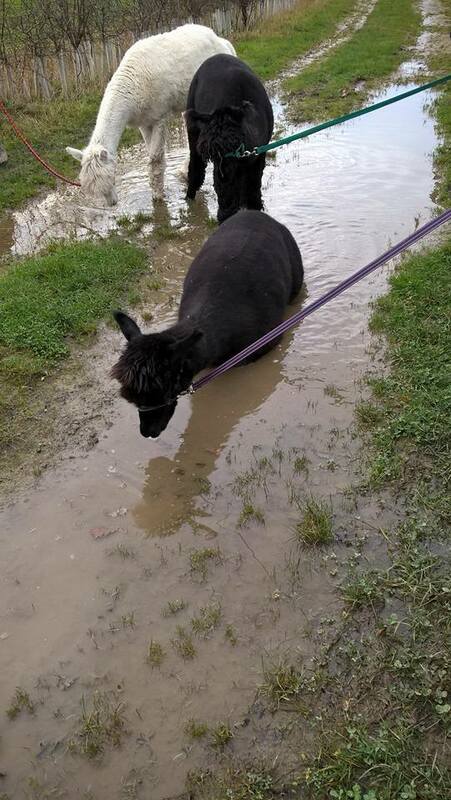 One alpaca was enjoying the wet weather far too much, and decided he would go for a dip instead. 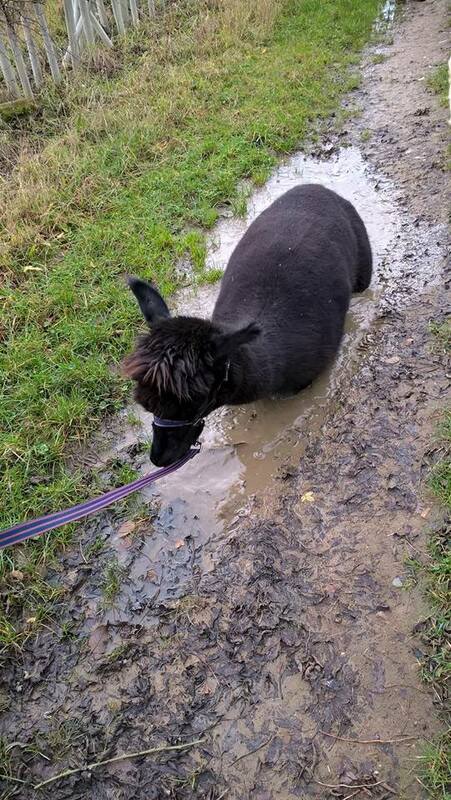 Bailey laid down in almost every puddle he could find, much to the surprise of our visitors and ourselves, as Alpacas are not known for their love of water! He did make for some fantastic photos. 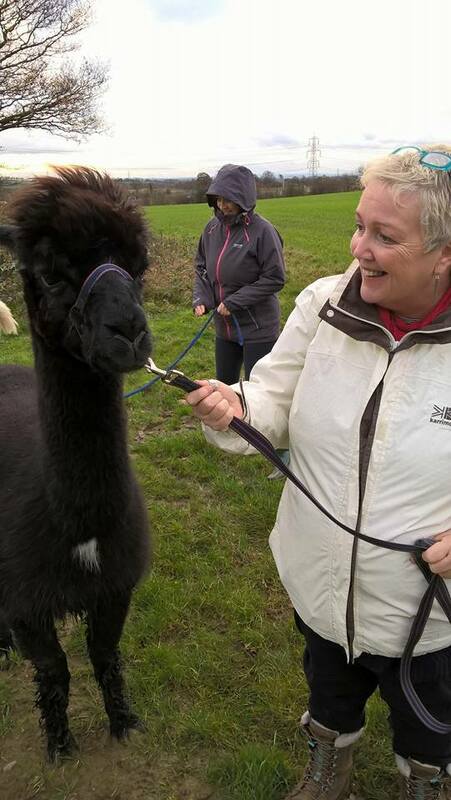 This was certainly a memorable trek for all involved; why not come and make your own wonderful memories with our alpacas? Get in touch today for more information and to book a trek! It’s amazing how much they do enjoy the water! We were so surprised by this! Bailey is the only one appears to like it so much, the others just skirt around the edges. Very cute.